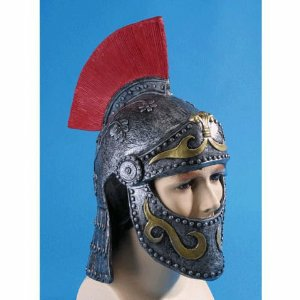 If you're going to fight for Rome, make sure you are protected in this helmet with face cover. Made of a rubber-like material. One sized fits most.